The popular Zimbabwe cultural festival will return in May with a stellar entertainment line-up. 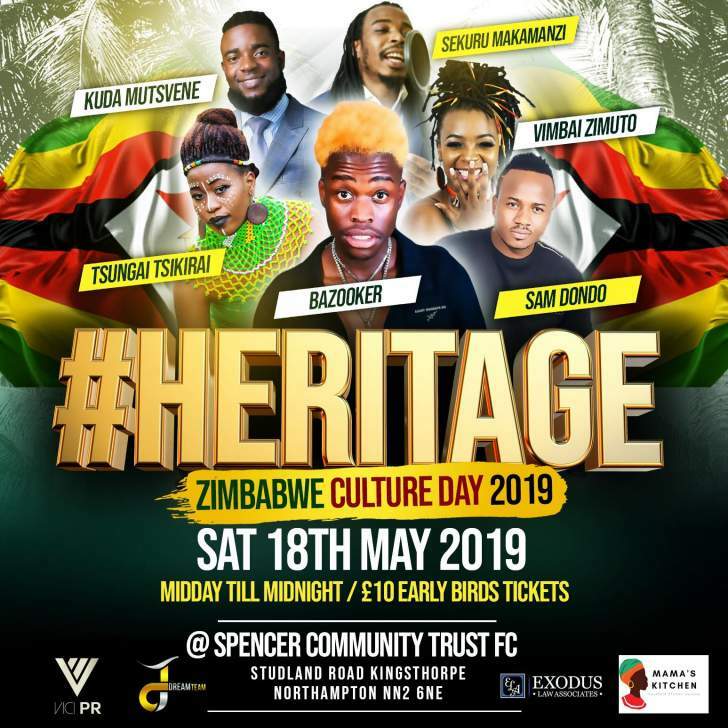 The family fun day, titled Heritage has become a popular event on the Zim community calendar and will usher in a long list of summer occasions planned for 2019. Each year, more than 1000 people attend to celebrate southern African art, music, dance and culture. 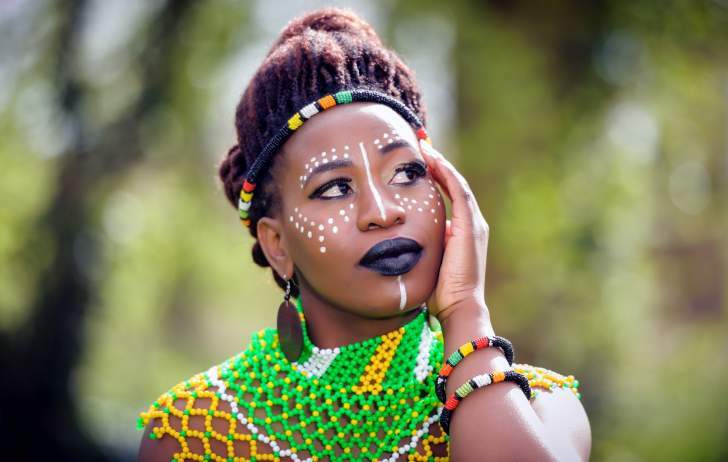 The event is scheduled for 18 May 2019 at the Newbold on Avon Rugby Football Club and artists that include Zee Guveya and the Heritage Survival Band, Tsungai Tsikirai, Nommie and Double Trouble have been confirmed. Zim based dancehall artist, Bazooker will make his debut appearance in the UK as well. The chanter, well-known for his hit songs ‘Mababay akawanda and Kwedu' is among the performers for the occasion. Kuda Mutsvene, Sam Dondo and Sekuru Makamanzi will add to the eclectic mix of musical styles for the event. Children's activities and games, face-painting and a variety of heritage crafters will be adding to the celebrations that begin from midday. Food will also be available to purchase on the grounds. Dream Team Entertainment's, Kudzaishe Chipadza said that the day would be an opportunity to showcase southern African talent and promote the unique and diverse cultures that Zimbabwe has. "Now, more than ever, is a chance to rebuild and rediscover the beauty, diversity and entrepreneurial prowess of our people, and remind ourselves of the positive things we can do to contribute to our community here in the UK and how we can work together to create the same type of synergy in Zimbabwe." "Ensuring a sustainable future for our heritage is of concern to all of us who care for the preservation of Zimbabwe's spirit, soul and memory, and who believe that our cultural legacy should, in future, play a vital role in building bridges and promoting mutual respect and understanding among all the citizens of Zimbabwe, locally and internationally," he added. The event this year is being sponsored by Northampton based legal firm, Exodus Law Associates. Situated in the heart of the city, the team specialise in immigration and family law, including applications for entry clearance, leave to remain, nationality and citizenship under UK Law. Every year, under their corporate responsibility aims and objectives, the firm takes on 10 pro bono cases for individuals or families in the community who cannot afford legal representation. Tickets are now on sale for £10 and can be purchased from Eventbrite. Tickets will also be available at the door on the day.